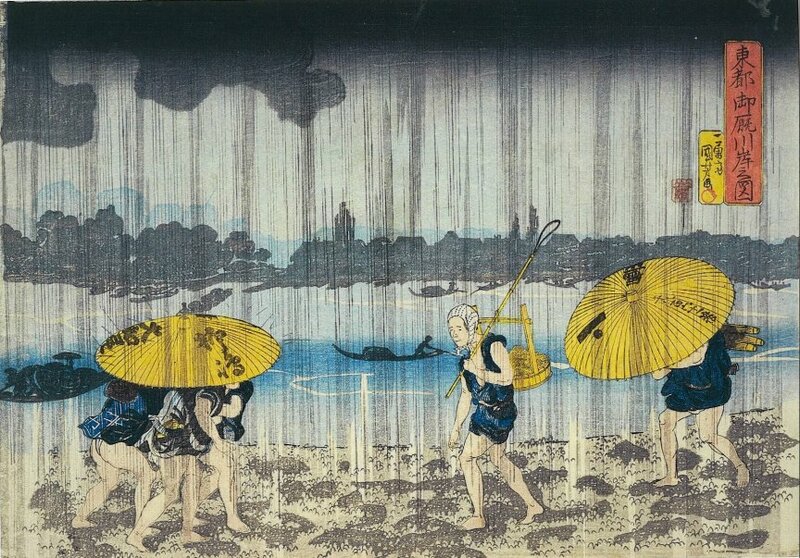 Tokyo (then called Edo) was the Eastern Capital, where the shogun lived. 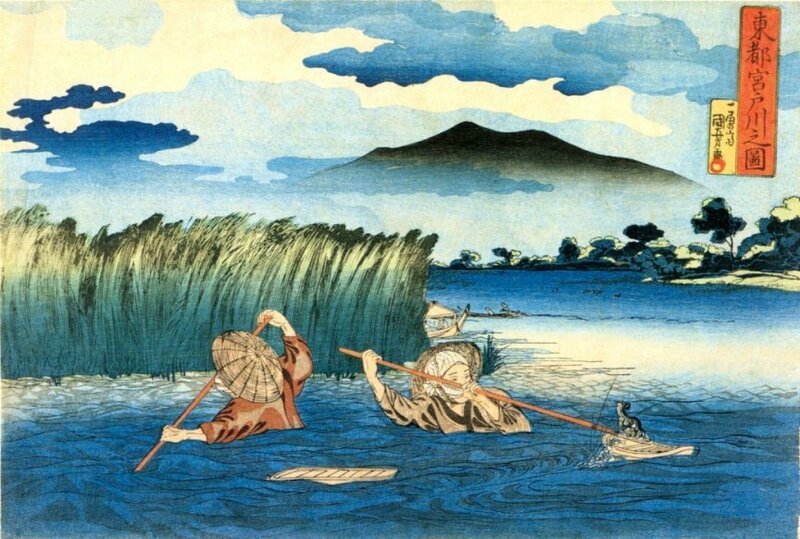 The emperor lived in Kyoto, the Western Capital. 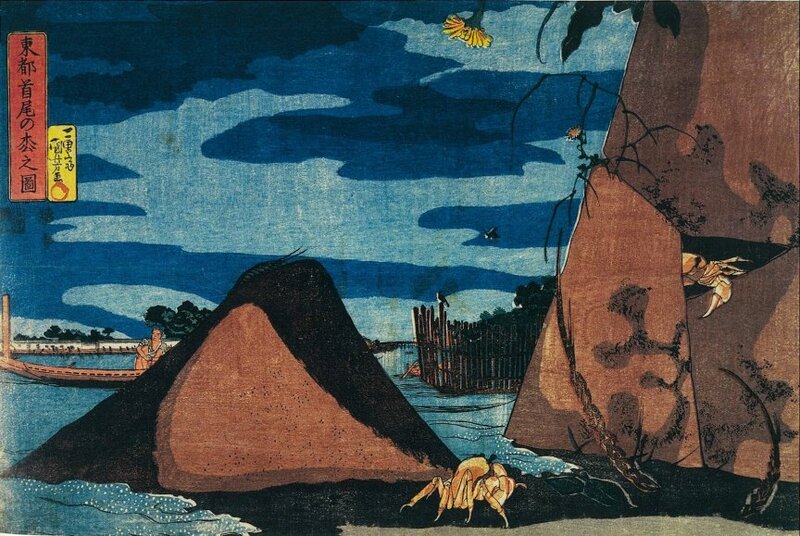 This series of prints is listed as number 7 in Kuniyoshi by Basil William Robinson (Victoria and Albert Museum, London, 1961). 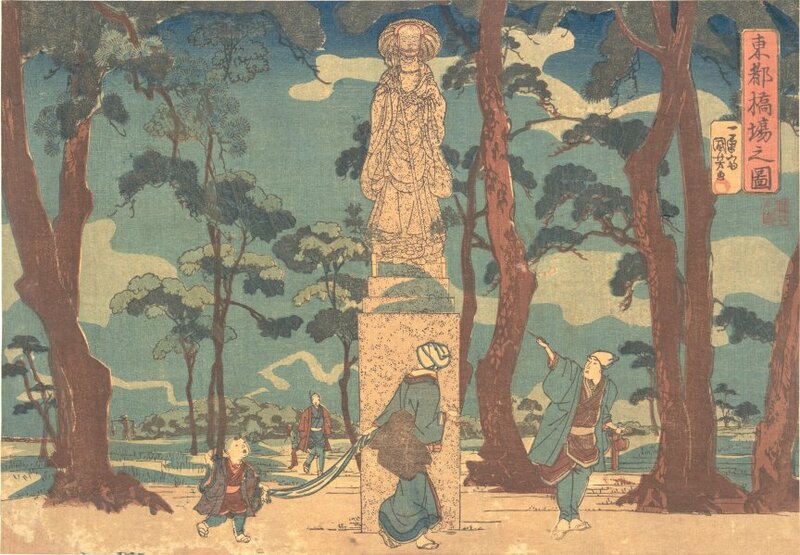 The prints are each about 10 by 14 inches (25 by 36 centimeters), a size known as ôban. 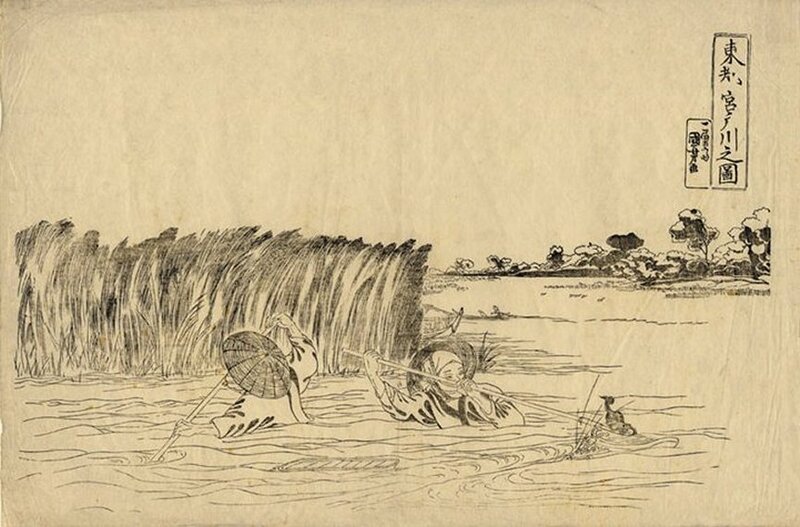 This is a drawing for the above print. 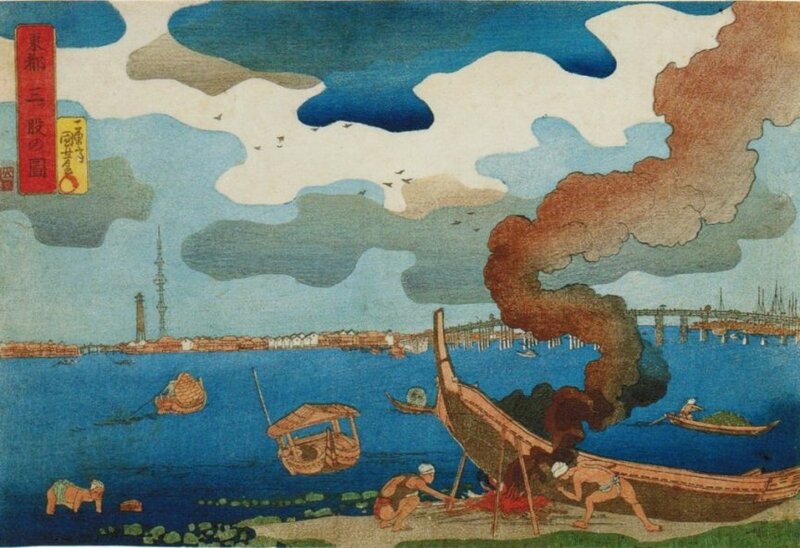 This is a reproduction of the above print made in the 1890s. 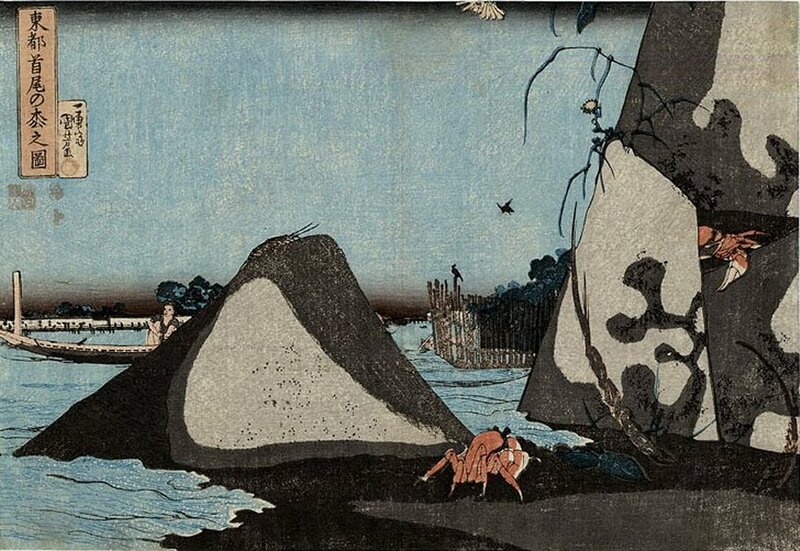 NOTE: This print is similar to the above series, but the title in the large cartouche does not start with Tôto (Eastern Capital), and it is not a scene along the Sumida River. 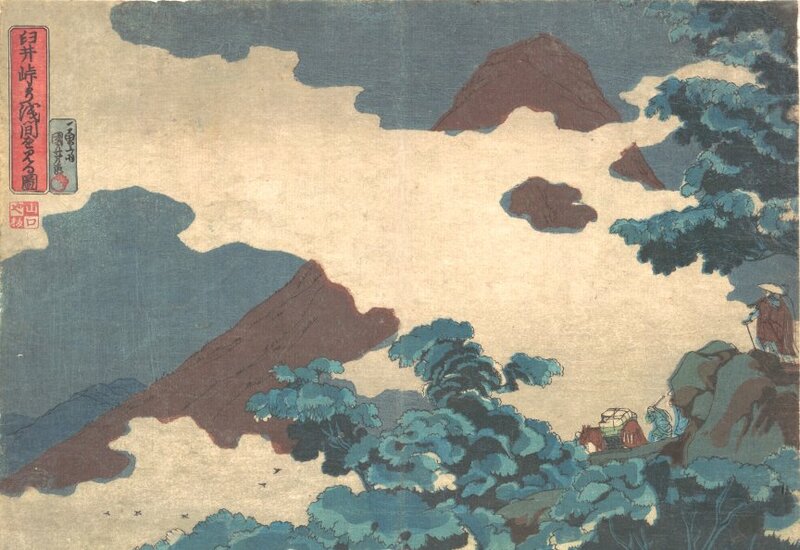 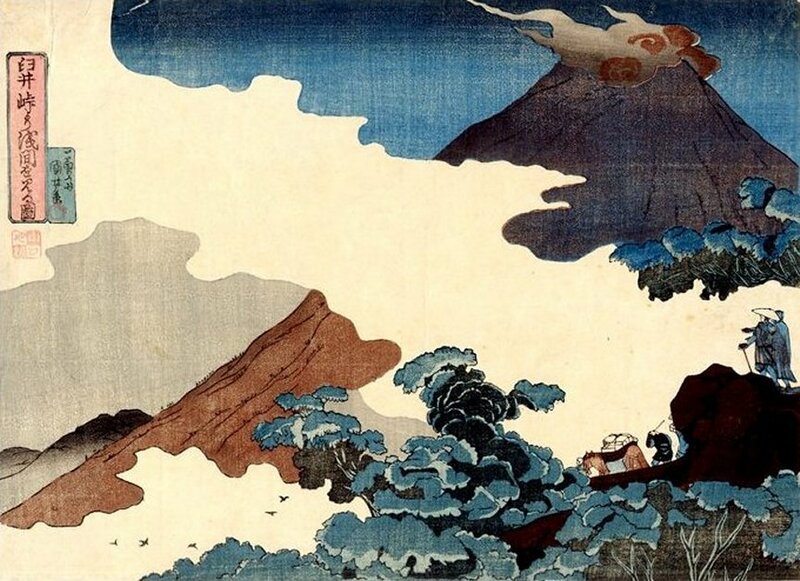 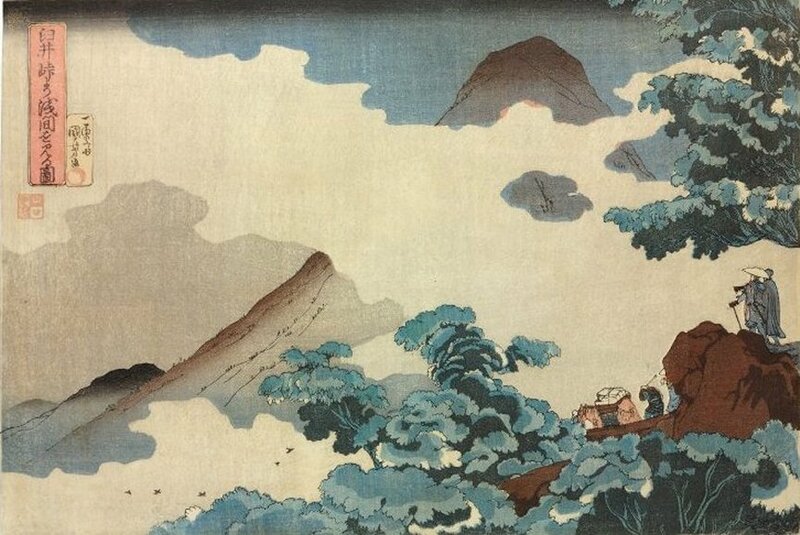 This is another state of the above print with smoke rising from the summit of the mountain. 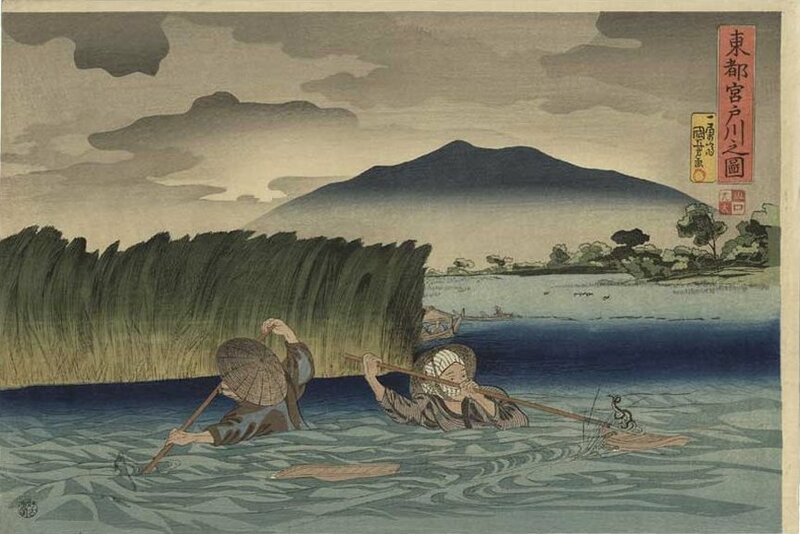 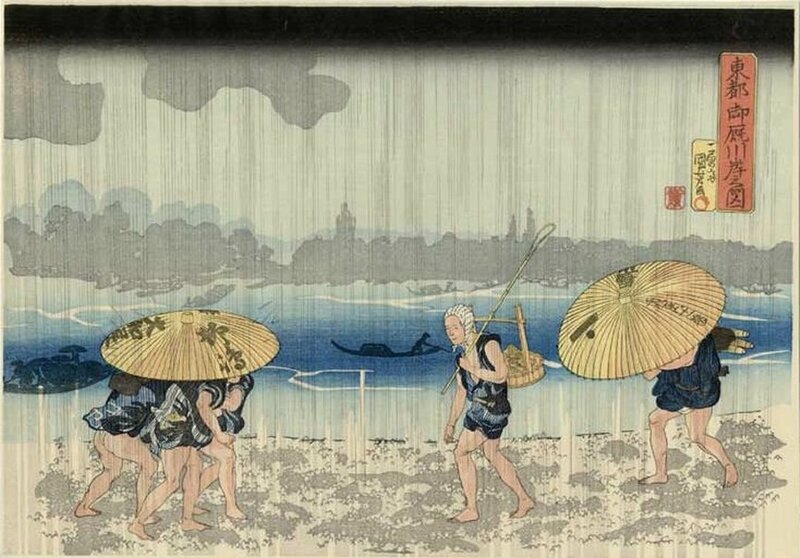 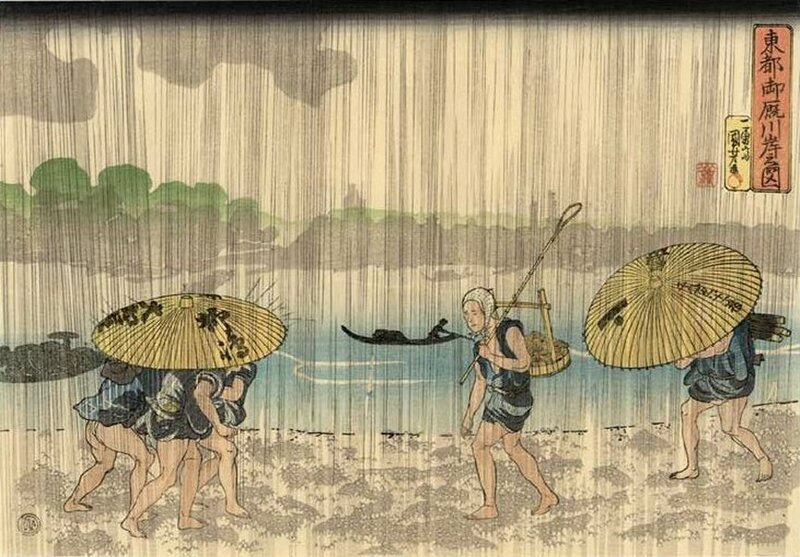 Image courtesy of John Rose and Auction Ukiyo-e Ltd.